Malham is a popular village in the Yorkshire Dales National Park on the Pennine Way. The main attractions are the stunning scenery of Malham Cove and Gordale Scar - two of the most impressive sights in the whole of the Yorkshire Dales and both within easy walking distance of the village as is Janet's Foss Waterfall. The 7.6 mile circular walk from Malham village to Janet's Foss, Gordale Scar, Malham Tarn and Malham Cove featured as number 3 in Britain's Top 100 Walks on ITV in January 2018. 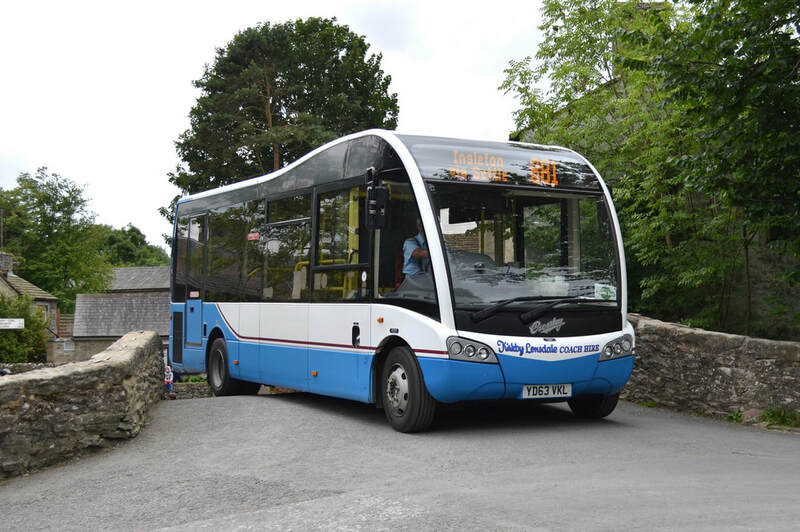 There are buses from Skipton and Gargrave to Malham on Mondays to Fridays (bus services 210 and 211) and on Saturdays (bus service 75) all year. Buses also run on Summer Sundays and Bank Holidays from Dewsbury, Bradford, Ilkley and Skipton (Cravenlink DalesBuses 873 and 884) and from Morecambe, Lancaster, Slaidburn, Settle and Malham Tarn (Coast & Cove DalesBus 881). These services will start for the summer season on 21st April 2019. Timetable leaflets are available from Malham National Park Centre.